It’s been a long time since I’ve came up with a big beauty wishlist, despite the hours spent each week trawling through sites and adding things to my basket. So, as Escentual has 25% off sitewide with code ‘escentual25’, I thought there was no better time to share the things I’d love to add to my beauty stash. There’s a few beauty blogger favourites in my list which I’ve wanted to try for ages, such as the Clarins Lip Perfectors, Embryolisse Lait-Creme Concentre and the Clarins Instant Smooth Self Tanning. I’ve read such positive reviews about all three that they’re going to have to come home with me soon I think! I’ve thrown in a few extra indulgence purchases too (looking at you Guerlain Meteorites and L’OCcitane Firming Milk Concentrate) as it’s nice to treat yourself to something pretty or nicely scented every once in a while! Of course, there’s a lot of skincare included as I literally can’t help myself. I’ve had my eye on Caudelie Serum, Clarins Lip Balm and Facial Oil for a while, as I think it would be perfect for my dehydrated skin. The Bioderma and Real Techniques Brushes would be repurchases, but so important to my beauty collection that I’d purchase them again and again. So, is there anything you’ve got your eye one? Remember you get 25% off with ‘escentual25’ so it’s well worth picking some things up whilst you can! 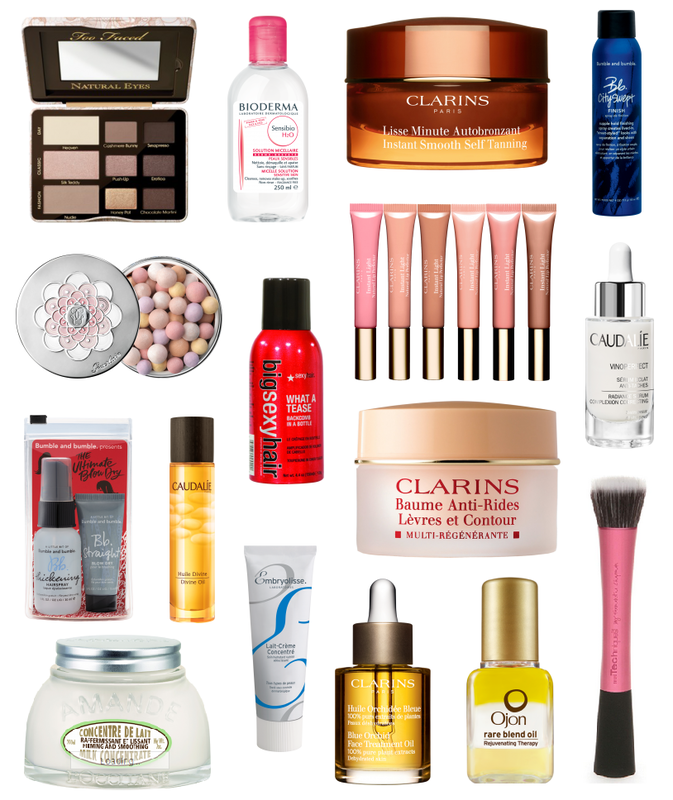 Oh and make sure you enter my £250+ beauty giveaway too! Click here.